Freedland Harwin Valori, PL is a personal injury and consumer justice law firm that has been involved in some of the nation’s most significant litigation. We are committed to seeking justice for our clients through the court system and fighting for just compensation. 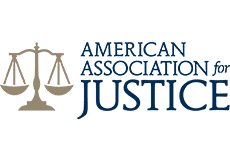 Whether you’ve been injured by a negligent doctor, injured in an automobile accident, or by an unsafe product or pharmaceutical product, we are here to make sure your voice is heard and your rights are considered in a court of law. We have the experience, resources, and fortitude to take on big corporations on your behalf. We have been involved in significant litigation that has resulted in millions of dollars in compensation for clients who have been wronged. For example, our attorneys were involved in two major whistleblower cases against Big Pharma. They included a $1.4 billion record-setting settlement against Eli Lilly and a $520 million settlement against AstraZeneca. Our firm has the experience, resources and fortitude to take on big corporationson your behalf. We have also become well known for handling lawsuits involving death and injury from botched plastic and cosmetic surgery procedures. In fact, our work in this area has drawn the attention of local and national news outlets including CNN, ABC’s Good Morning America, and the Katie Couric show. 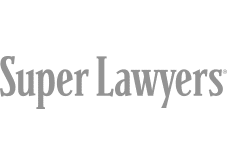 We were one of the first law firms in South Florida involved in the national litigation involving Phen-Fen and we have also brought significant claims against large HMOs and hospitals. Each of our attorneys has the experience and knowledge to handle your unique situation. They are passionate about what they do and will work tirelessly on your behalf. As a client, you will have direct access to a partner in the firm while at the same time, have access to the collective experiences of the entire legal team. Our attorneys are licensed to practice in both state and federal court. 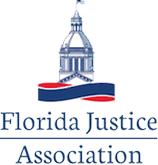 They have been honored by their peers for inclusion in such publications as Florida SuperLawyers, Best Lawyers in America and the South Florida Legal Guide. When you have lost a loved one, or if you have been severely injured, it can be a trying time trying to get your lives back in order. Our attorneys and staff handle each case with the utmost care and compassion. We will communicate with you every step of the process to let you know where your case stands. Our only goal is being your advocate and doing the best job possible to get you the results you deserve.